Bigcommerce is an e-commerce platform for SMBs. You can make your Bigcommerce store multilingual using Transifex Live and sell your products worldwide. We have a live example of a localized Bigcommerce store. Use the language drop-down at the bottom right to switch languages. Below, you'll find instructions for translating your Bigcommerce store. Transifex Live only works with Bigcommerce storefronts. For example, the home page and product pages. The shopping cart and check out pages will be only partially localized because those pages live under a subdomain different from your storefront's. This is done in order to protect the shopper's security. Before you begin, you must have a Transifex account and a project you will be associating with your site. If you have not already done so, sign up for Transifex here. 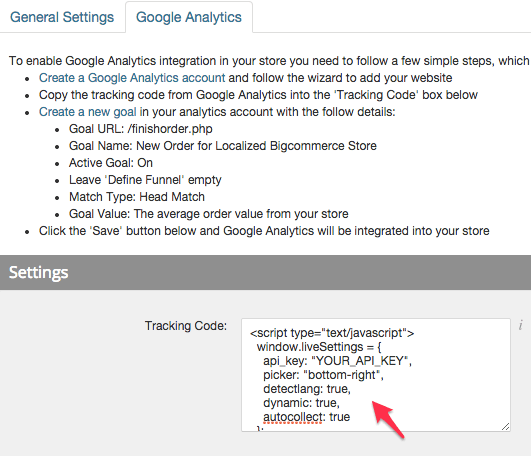 In your Bigcommerce control panel, go to Setup & Tools → Set up your store → Web Analytics. 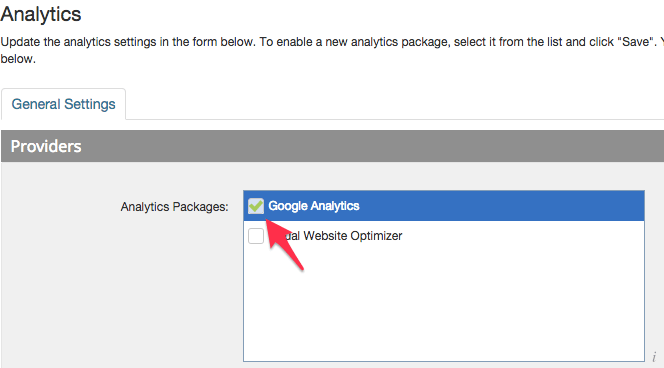 Check the box next to Google Analytics, then click Save. Click Save and you're on to the next step!